This ongoing series takes in-depth look at the opioid epidemic spreading across West Virginia. 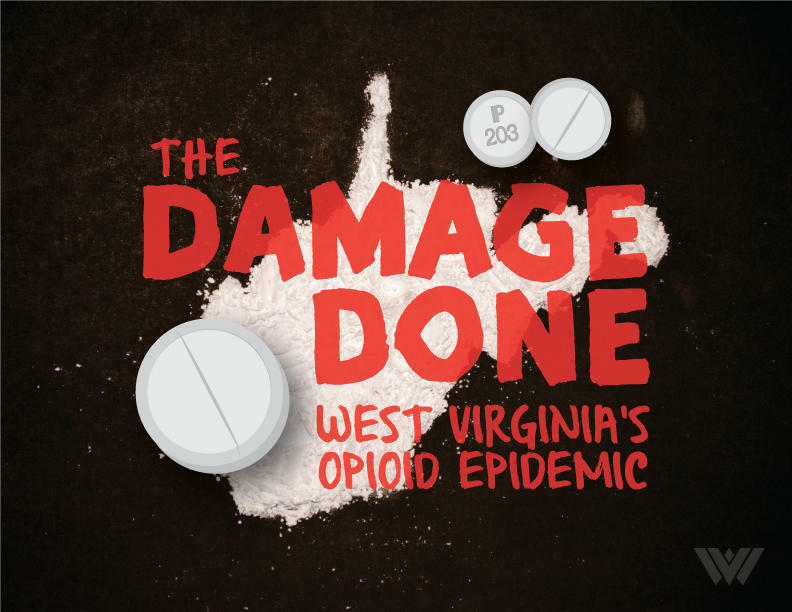 From the story of the addict who could no longer get prescription narcotics on the street, the emergency room physician who cares for overdose patients, and the lawmakers working to reverse the trend--these are the voices and stories of West Virginians impacted by opioids. Listen to the podcast from January 30, 2018. On this West Virginia Morning, reporter Dave Mistich chats with the director of academy award nominated film, Heroin(e). We also hear a story about medical marijuana dispensaries opening in Pennsylvania and the economic impact that could bring. On this West Virginia Morning, The Legislature Today host Andrea Lannom speaks with Barry Cook, director of the West Virginia Division of Forestry to talk about a controversial bill that would open many state parks to logging. On this West Virginia Morning, President Donald Trump has helped put the national spotlight on the Ohio Valley’s opioid crisis. But his record of action on the issue is mixed. As part of the series, One Year, Under Trump, Ohio Valley ReSource reporter Aaron Payne reports that public health officials in the region say they need more funding to back up the president’s promises. The number of West Virginians who have died of opioid-related drug overdoses has climbed drastically every year for the past five years. West Virginia lawmakers say getting a handle on the state’s opioid epidemic is one of their top legislative priorities. Listen to The Legislature Today on January 17, 2018. On The Legislature Today, we bring you a special focus on West Virginia’s opioid epidemic. First, we take you to the small town of Kermit where the tragic toll of the epidemic has weighed heavily on residents, and then, host Andrea Lannom chats with two lawmakers who outline legislation addressing the issue on multiple fronts. A West Virginia University researcher says the official U.S. suicide rate, which rose 34 percent from 2000 to 2016, fails to include many people who kill themselves purposely with drugs. West Virginia University's chief economist estimates the opioid epidemic has cost the state economy nearly $1 billion from deaths, lost or underperformed jobs and public resources. Can West Virginia Shift Its Attitude Toward the Opioid Crisis? Shawna Hardy grew up in the early 80s “on the hill.” That’s how family referred to her Grandma Helen’s property, a quasi-farm situated atop a steep hill in North-Central West Virginia. Her family lived in a trailer next to Grandma Helen, separated by a large field outlined with thick aluminum fencing that held a chicken coop, a salt lick for the cows, and a small barn for a temperamental palomino named Golden Boy. Two more West Virginia communities have joined others around the state in suing drug companies over the opioid epidemic.